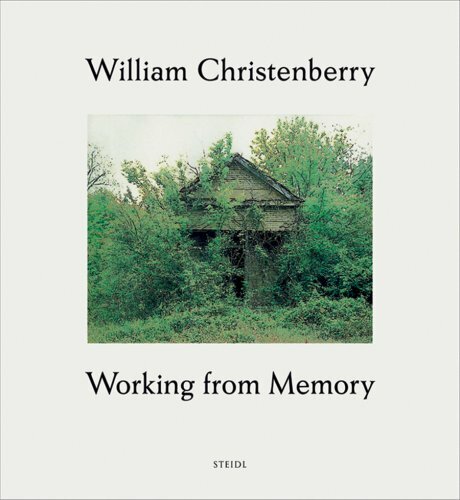 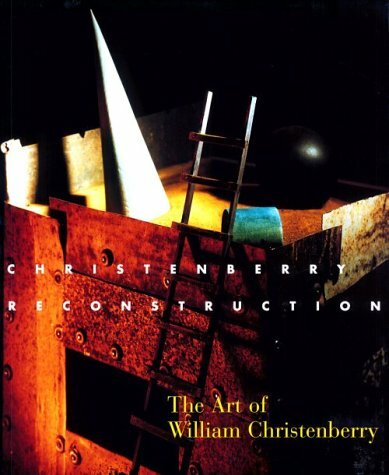 Christenberry received his bachelor's (1958) and master's (1959) degrees in fine arts from the University of Alabama, studying under noted abstract expressionist Melville Price. 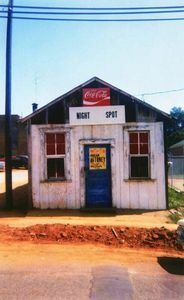 Since 1968 he has taught at the Corcoran College of Art and Design in Washington, D.C.
His artistic career began with the painting of large abstract-expressionist canvasses, but gradually he began to be drawn to material that spoke about the place of his childhood. 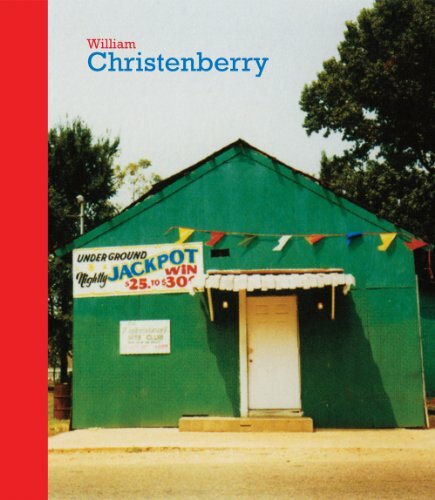 Although he was raised in Tuscaloosa, Christenberry spent his summers with extended family in rural Hale County. 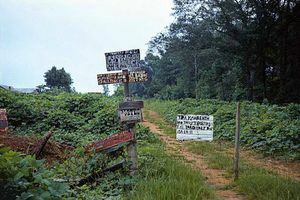 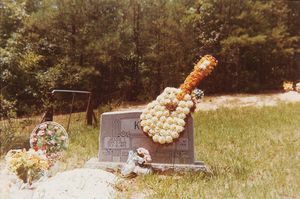 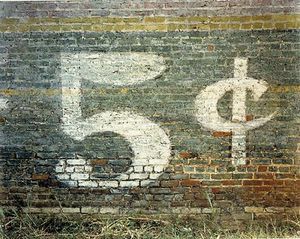 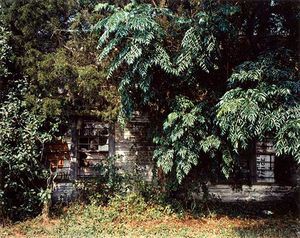 After graduating from the University of Alabama and beginning a promising, if not immediately rewarding, artistic career in New York City, he came across the 1941 book, Let Us Now Praise Famous Men, in which James Agee describes in prose, and Walker Evans in photographs, the experience of living among the dirt-poor farming families of Hale County during the Great Depression. 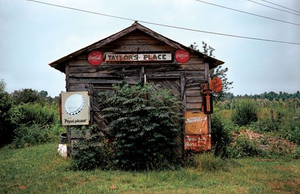 Some of Evans's photographs made a deep impression on Christenberry. 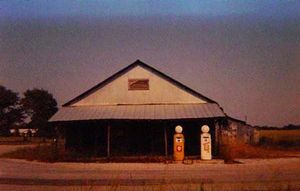 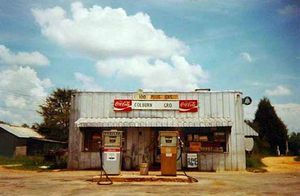 Shortly after beginning a professorship at Corcoran College, Christenberry began making annual visits to Hale County during the summer to visit family and to explore and make photographs. 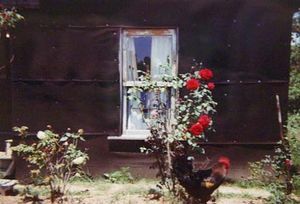 Originally these all were made with a Kodak Brownie camera given to him as a child, but he later moved to a large format view camera in order to capture more detail. 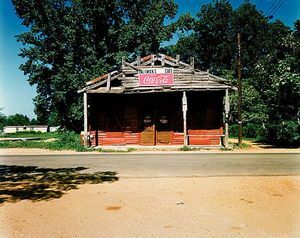 On one notable occasion in 1973, Walker Evans, who had encouraged Christenberry to take his photographs seriously, accompanied him. 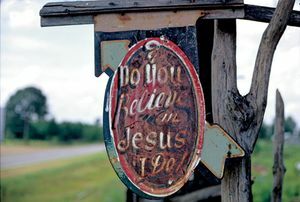 This was Evans's first and only return to Hale County since 1936. 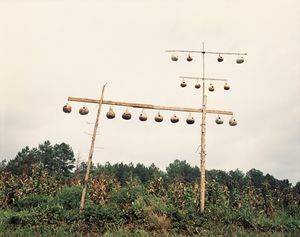 One of the results of this pilgrimage was a series of remarkable photographs documenting the decay of individual structures, which are photographed as nearly isolated objects. 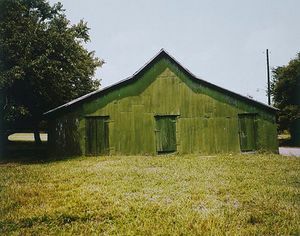 In 1974, Christenberry began translating some of these photographed buildings into incredibly detailed sculptures that accurately reproduce their state of decay and patina. 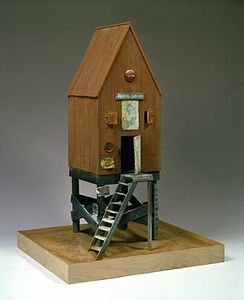 Although very detailed and properly proportioned, Christenberry does not refer to these creations as models, as he says they are not based on precise measurements, and he prefers that they be called sculptures. 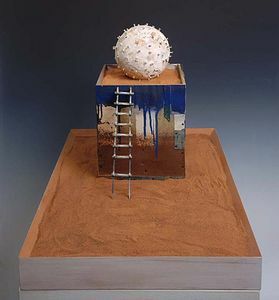 The bases for these sculptures often are set in soil taken from these places. 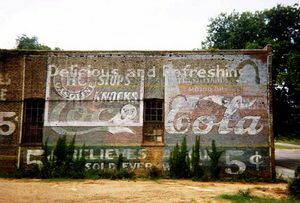 On many of these trips, Christenberry has collected old advertising signs and other found objects that inspire him. 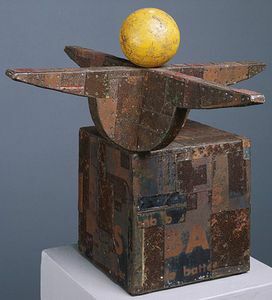 Some of these are incorporated into his work, while others hang in his studio. 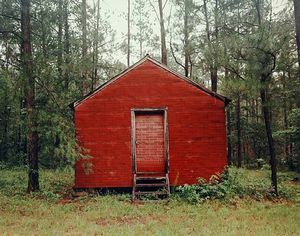 Another series of works was provoked by a terrifying incident when, out of curiosity, he tried to attend a meeting of the Ku Klux Klan. 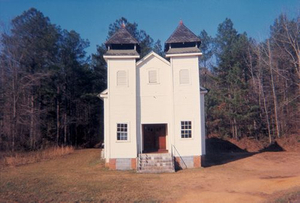 Confronted at the door by a glaring masked figure, Christenberry fled. 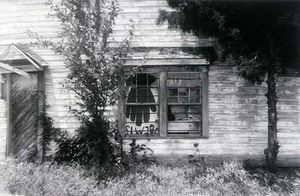 Although he destroyed his first two Klan paintings, the subject occupied him for many years, resulting in a dense multi-media construction adjacent to his studio that came to be known as the "Klan Room," which was burgled mysteriously in 1979. 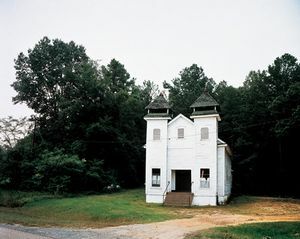 Christenberry has largely reconstructed the room, which is filled with paintings, found objects, drawings, sculptures, dioramas, and a series of fabric dolls of Klansmen in their hooded robes. 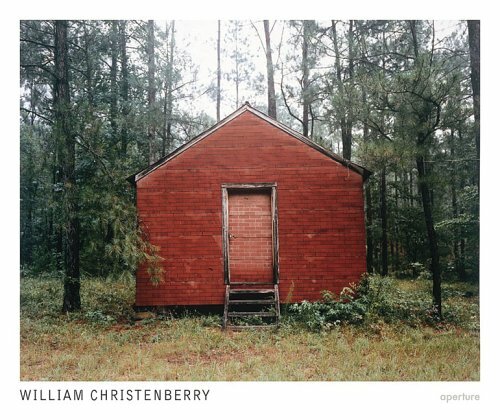 Though known more as a photographer and multi-media artist than as a painter, Christenberry continues to teach painting. 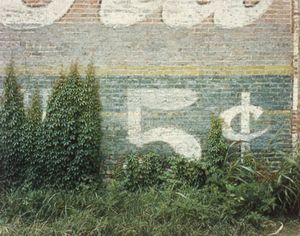 His work has been exhibited in solo and group shows around the world and is the subject of several monographs. 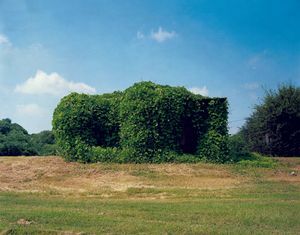 He is represented by Pace/MacGill Gallery in New York. 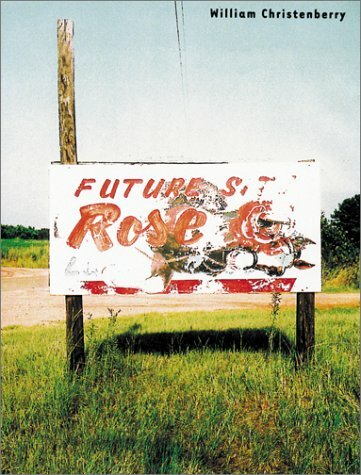 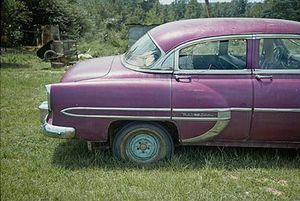 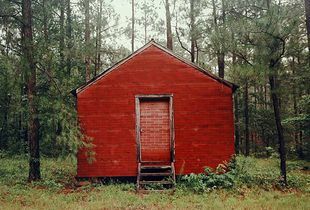 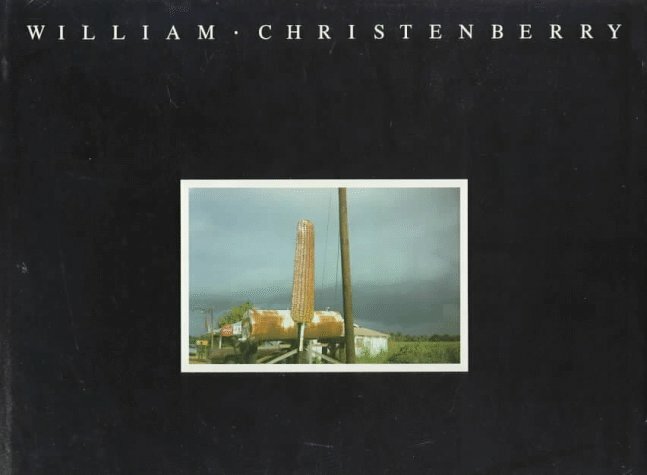 American photographer and artist William Christenberry has photographed Hale County, Alabama, for over 30 years — providing a fascinating, personal view of slow decay and transformation over time. 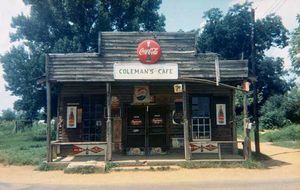 A year-long retrospective of Christenberry’s work is on display at the Smithsonian American Art Museum in Washington. 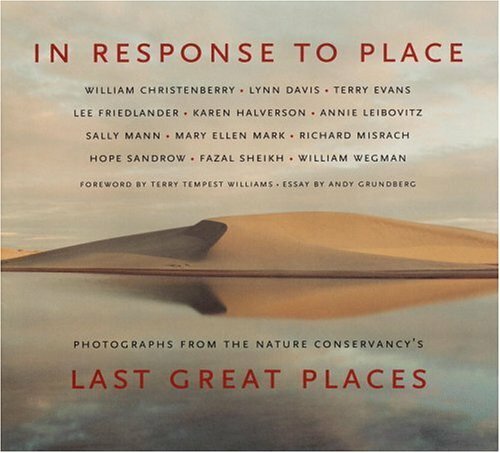 Aperture has also published a new book of his life’s work. 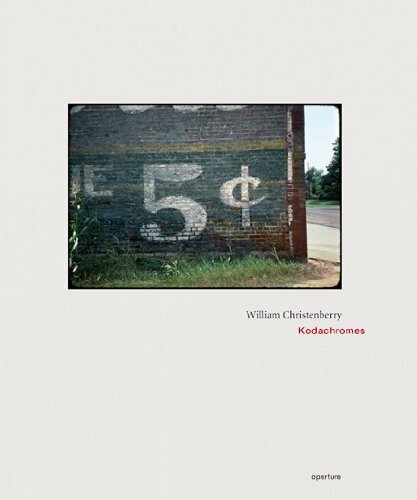 Here, we share a representative portfolio of his work, accompanied by a 17 minute audio commentary by Christenberry himself.